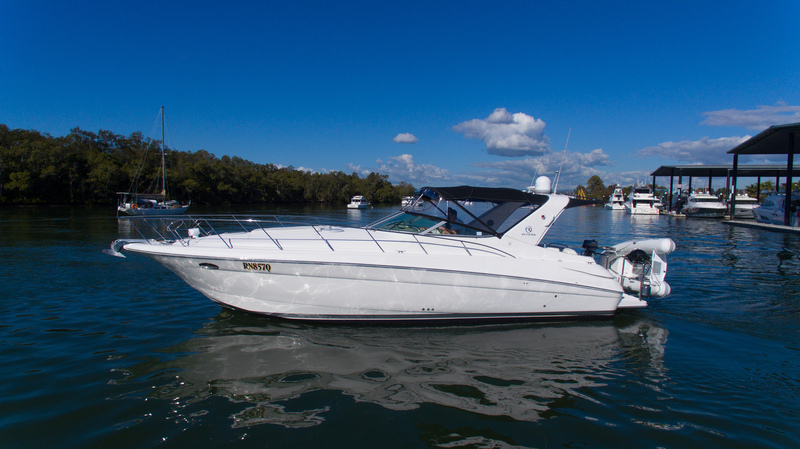 NEW LISTING, and now located on the undercover marina at Riviera. 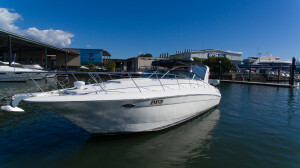 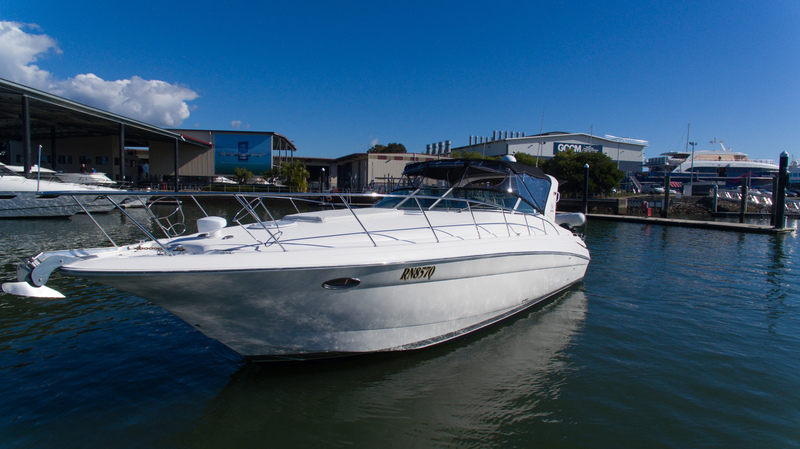 The Riviera M370 is possibly the best all round sports cruiser. 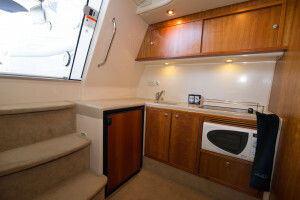 With 2 cabins, awesome cockpit layout and functional galley it is a great entertainer. 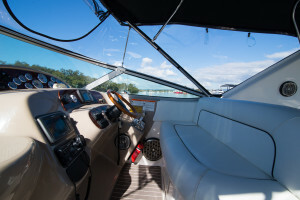 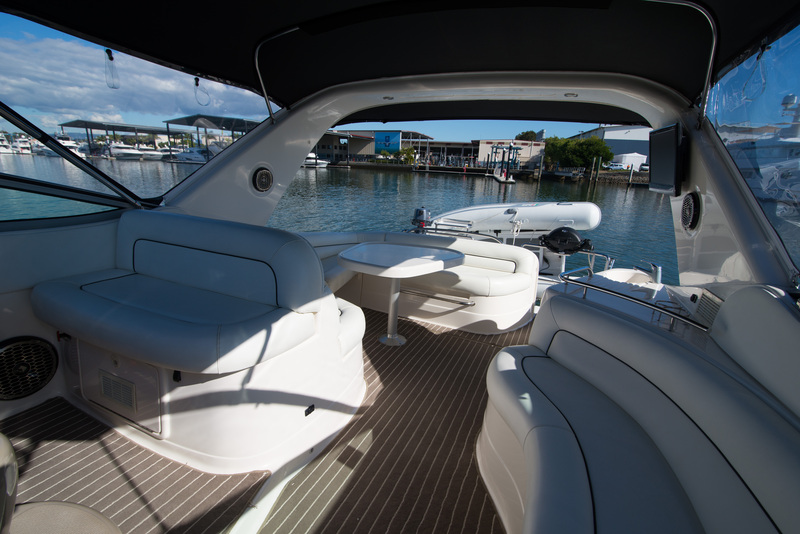 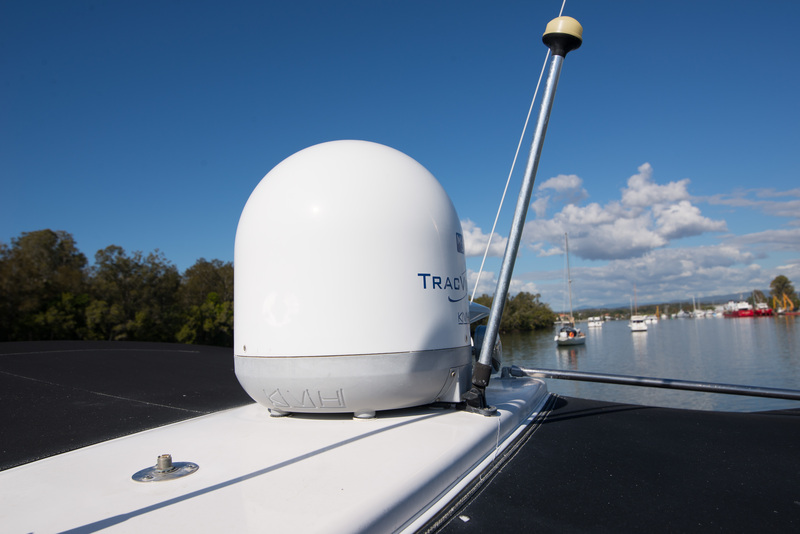 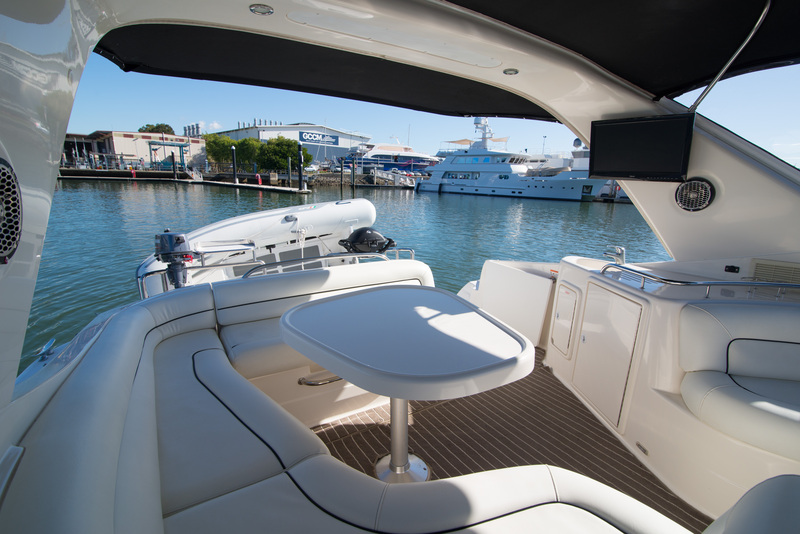 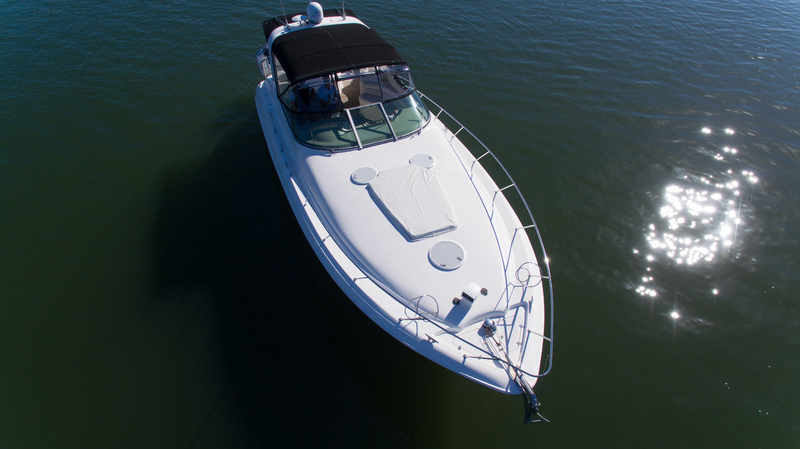 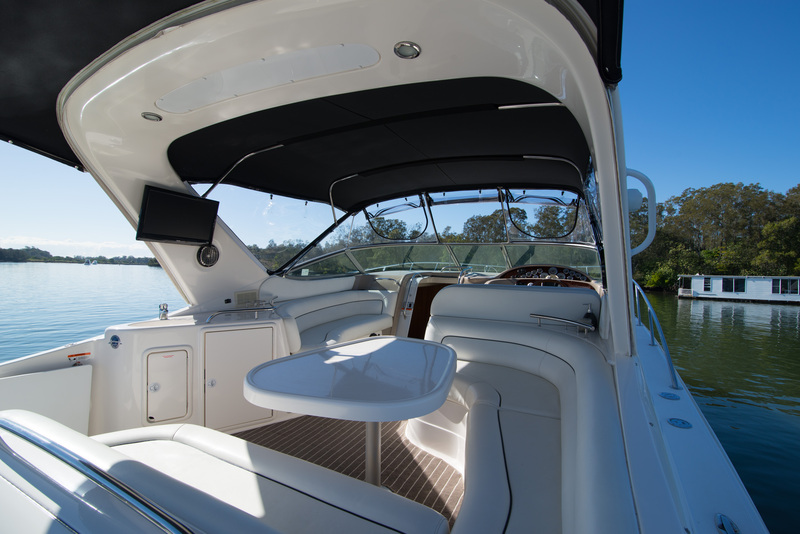 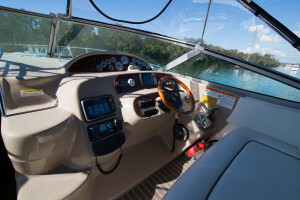 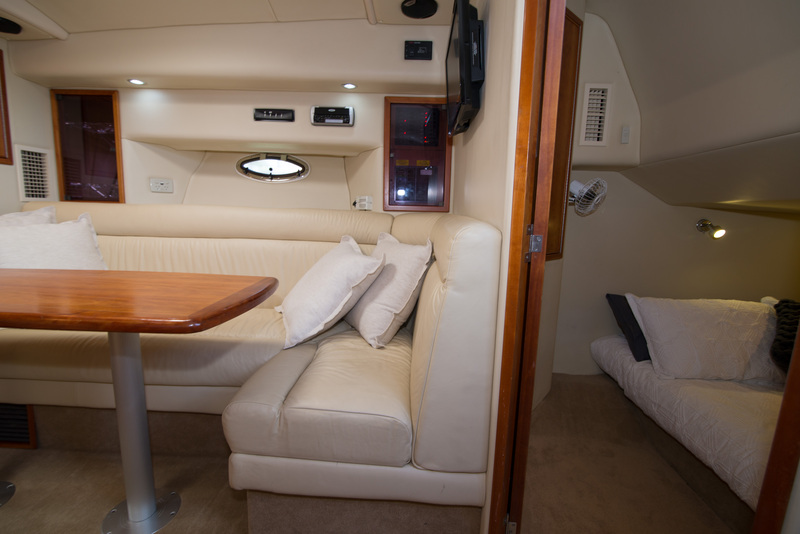 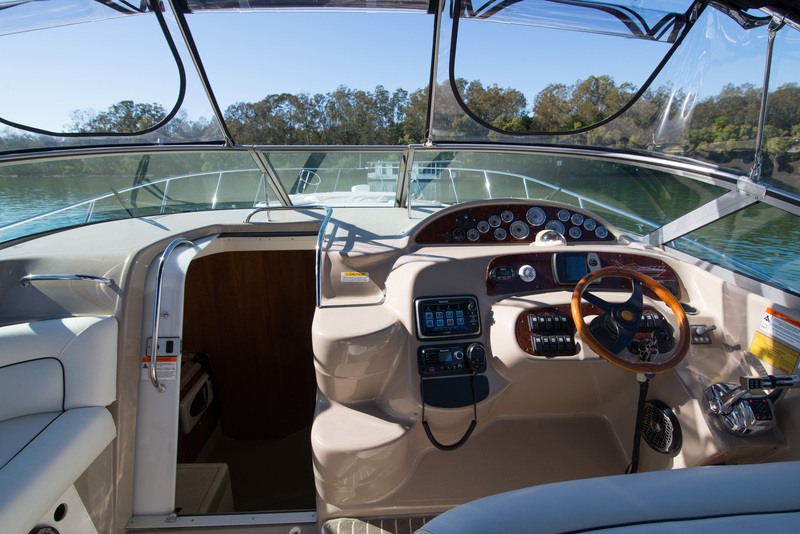 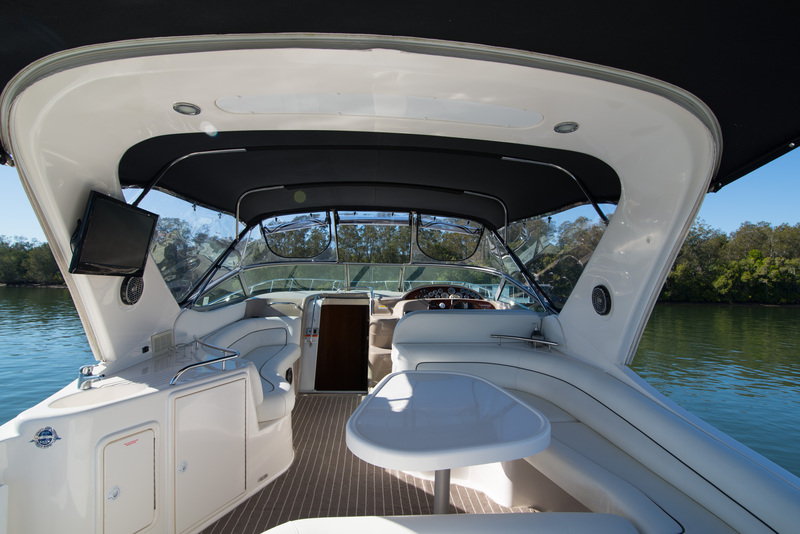 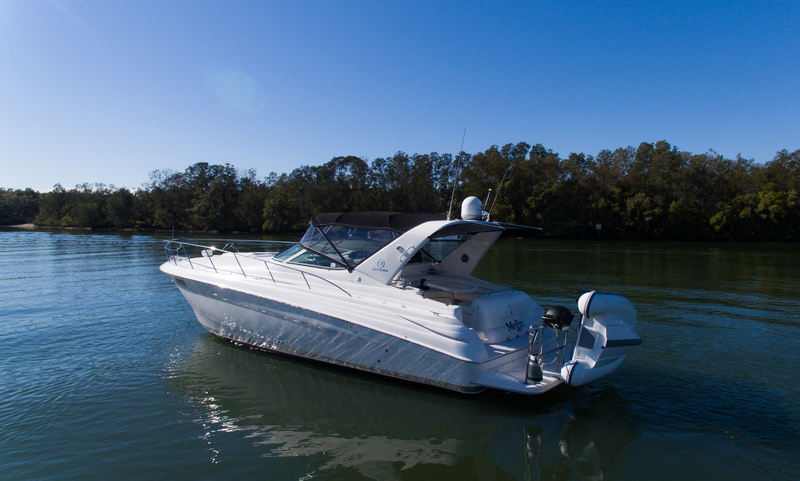 To get you around, it has the upgraded Mercruiser engines with smart craft gauges, electronic controls and side power bow thruster to assist in berthing. 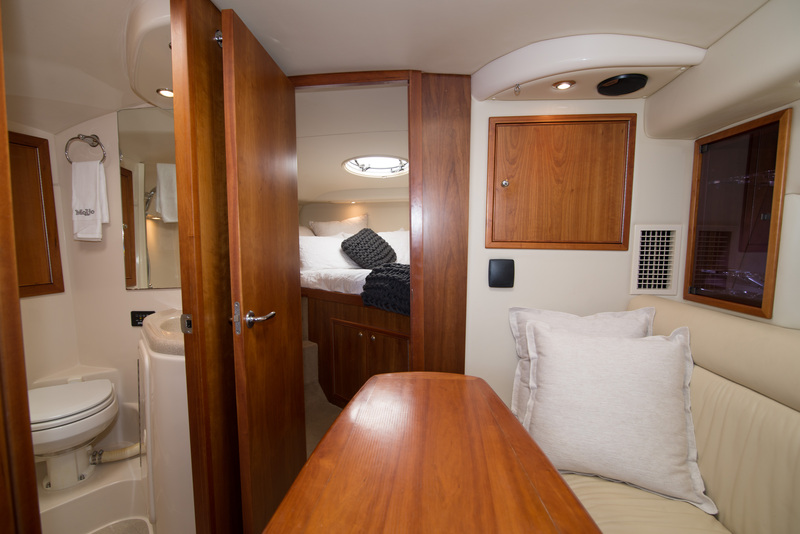 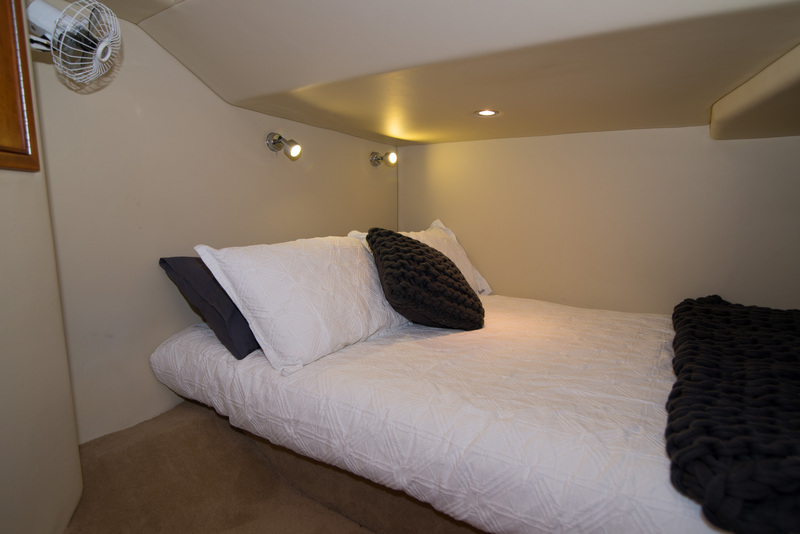 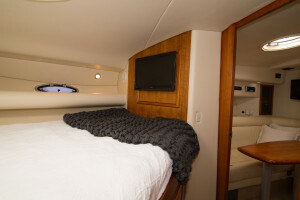 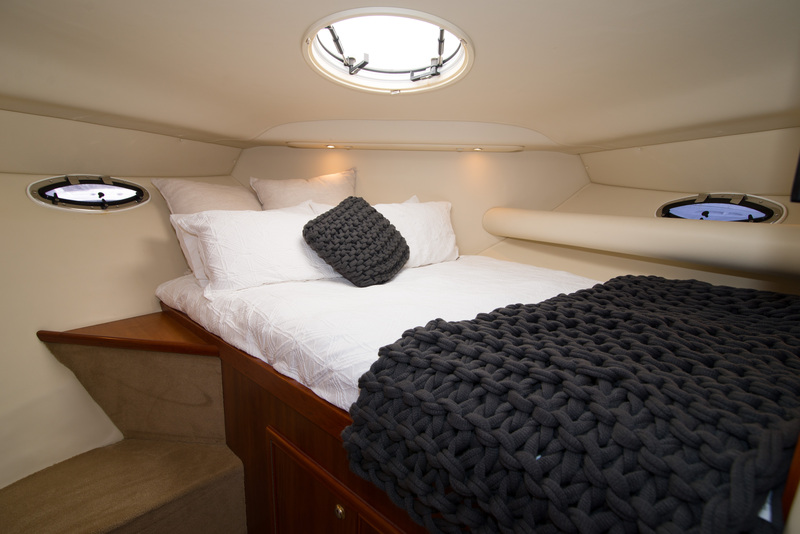 Sleeping 4 in 2 beds behind closed doors ensures privacy when needed and having the saloon lounge convert to another double bed and single bunk you can get everyone on board. 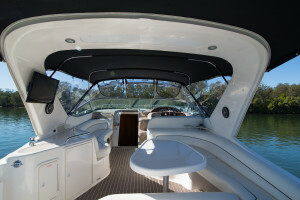 This boat has a great set of S/S rails on the swim platform to maximise the entertaining area. 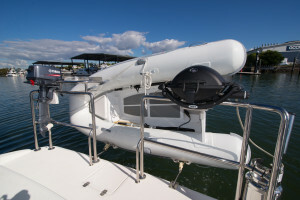 The near new AB Tender package and outboard is on snap-davits to the swim platform rail. 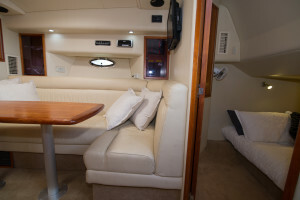 If it is entertaining you are wanting there is a custom extra fridge under the cockpit lounge for extra drinks and food. The mechanical service history is available on request. 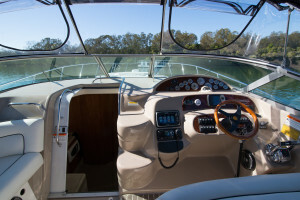 Exhaust manifolds have been replaced, heat exchangers have been replaced, and transom shields have also been done within recent years, the considerably larger works needed on a boat of this age. 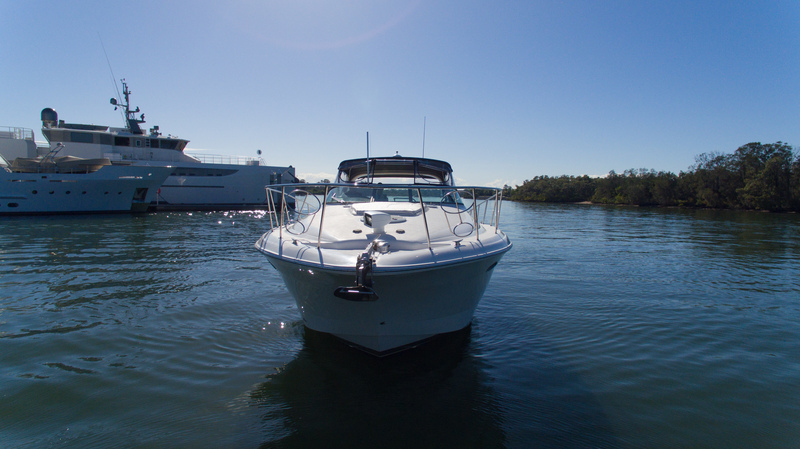 To arrange an inspection please contact Sam Phillips on 0403 515 778. 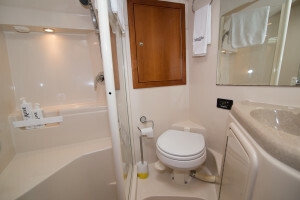 Accomodation Notes : 2x cabins with privacy doors and a single head. 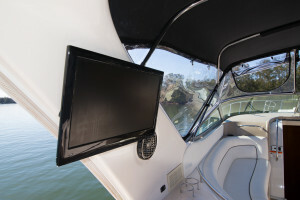 Entertainment and Appliances Notes : Digi TV with Sat dome for future Foxtel box, upgraded sound system and speakers. 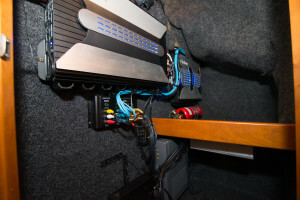 Electrics : 12v House and start supply 240v shore power and Onan genset. Remarks : Clears in very good condition, windscreen breezeway in very good condition, rear swim platform rail has been custom modified to fit gas Webber BBQ.